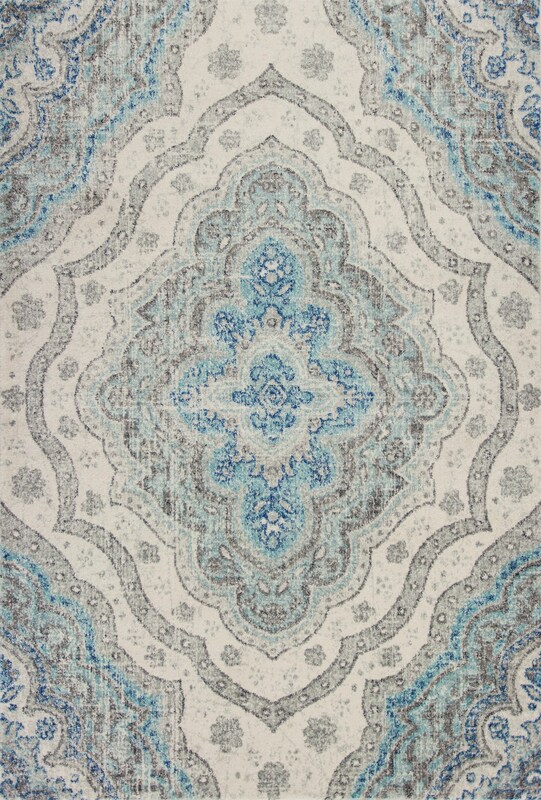 Reina 9502 Grey/Blue Layla 3'3" x 4'11". Machine Woven of 100% Polypropelene Frisee Yarn with No Backing. Made in Turkey. Vacuum with floor attachment only & Spot Clean Stains.